What is FASD & Key Worker Support Services? FASD & Key Worker Support Services provides support to families of children and youth with complex developmental behavioural conditions (CDBC) including Fetal Alcohol Spectrum Disorder (FASD). Keyworkers aim to enhance and maintain the stability of families, and to support inclusion of children and youth in family, school, and community life. We serve children and youth up to 19 years of age, and their families or caregivers, residing in Burnaby who have confirmed or probable diagnosis of FASD or CDBC. The child or youth presents challenges affecting more than one area of life resulting in heightened family stress, school breakdown and/or community breakdown. Why is Keyworker Support Services Important? Children and youth who have complex developmental behavioural conditions want to do well and require extra support to do their best. Having complex developmental behavioural conditions can greatly affect development and learning, mental health, and adaptive and social skills which may present as behavioural challenges. These behaviours can be misjudged as being willful on the part of the child or youth and can hinder their participation in everyday activities. Keyworker Support Services strives to educate families, professionals, and other service providers about complex developmental behavioural conditions and their behavioural symptoms, so that children or youth experience less frustration and more success. Using a collaborative approach, Key Workers develop a service plan to best support the needs of children and their families. The plan is flexible and is revised over time, just as the needs of children or youth and family can change over time. Information and resources delivered in an electronic newsletter. Services may be delivered in a variety of environments and may change as children and youth grow. 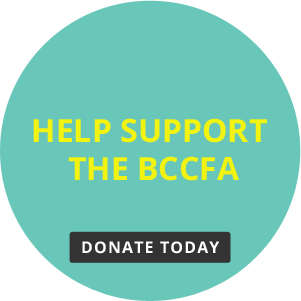 Locations include the BC Centre for Ability Vancouver office,, Burnaby office at the Metrotown Community Resource Centre, home, community settings or school facilities. Key Worker Support Services are provided Monday to Friday from 9am – 5pm. Family appointments, interagency meetings, group sessions, and special events may be scheduled outside of these hours. A physician referral is not necessary to access the FASD and Key Worker Support Services. Please complete the Intake Form found in the resource section of this page, or if you are a service provider please complete a Request for Service Form. Parent or guardian signature must be completed to show that families are aware of the referral and wants services from the FASD and Key Worker Support Services Program. The FASD and Key Worker Support Services acknowledges the City of Burnaby for its support.